Spec On The Job hires recruiters and branch managers from the distribution and logistics industries. This makes Spec uniquely suited to recruiting and vetting qualified and reliable warehouse staff for your business. 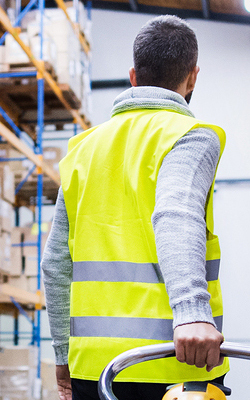 Each Spec office maintains a pre-qualified pool of Forklift Operators, Picker/packers, Selectors, General Warehouse Laborers, and other warehouse staff. We can get you the warehouse staff you need fast, whether your hiring needs are temporary, permanent, temp-to-perm, part-time, or full-time. We have a unique 5-point hiring process: 1) Resume Review, 2) Telephone Screening, 3) Face-to-Face Interview, 4) Onboarding, and 5) DOT Compliance. We also validate our candidates’ skill sets and references. We guarantee our workers for the first four hours of their initial start date. If you are dissatisfied with our worker’s performance for any reason, contact us immediately. We’ll make every effort to replace the worker as promptly as possible, and you will not be billed for that worker.